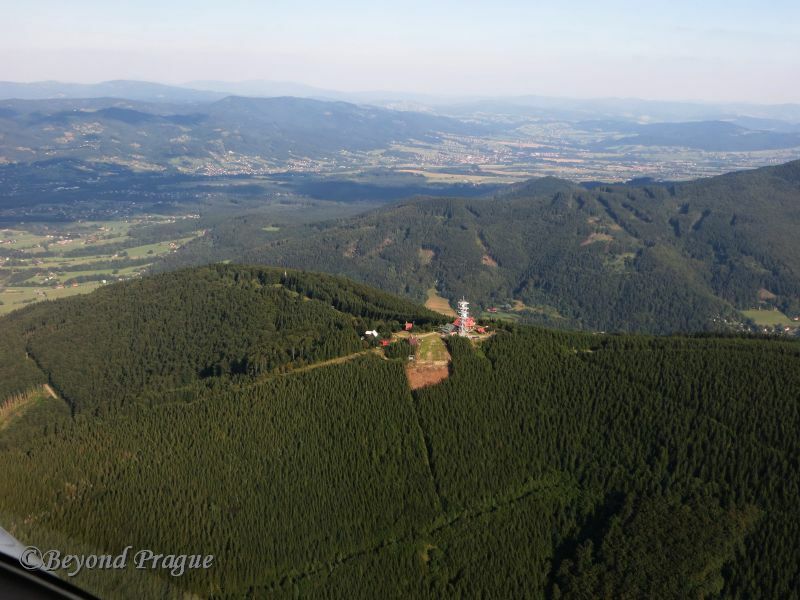 Lysá Hora is, at 1324 metres above sea level, the highest peak in the Moravian Silesian region. 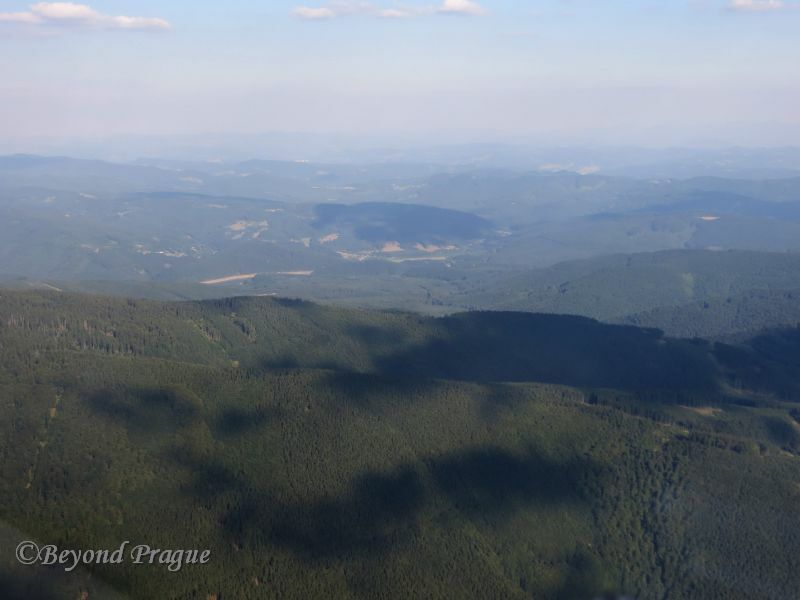 In mid August of 2013, I paid a visit to the Beskydy mountians in the north east of the country. 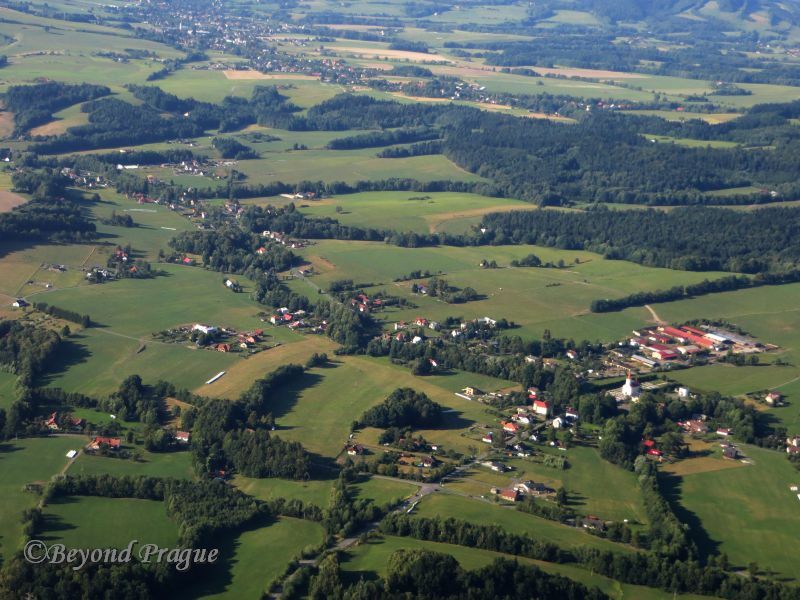 Geographically, this area is part of Moravian Silesia; however, from an ethnographic standpoint it is typically called Wallachia. In several aspects, such as folk traditions and folk architecture, this region does stand apart from the rest of the country. 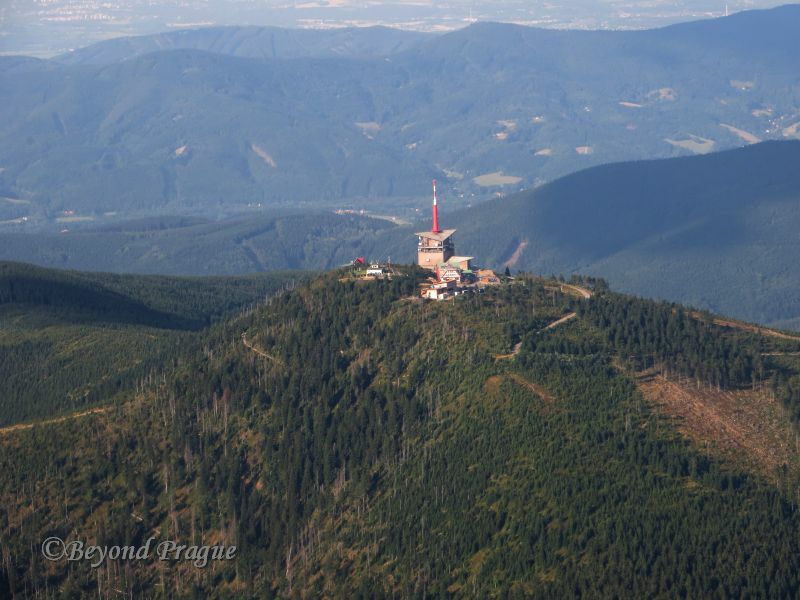 The Beskydy mountains themselves are part of the Carpathian range and are quite popular for tourism year round. 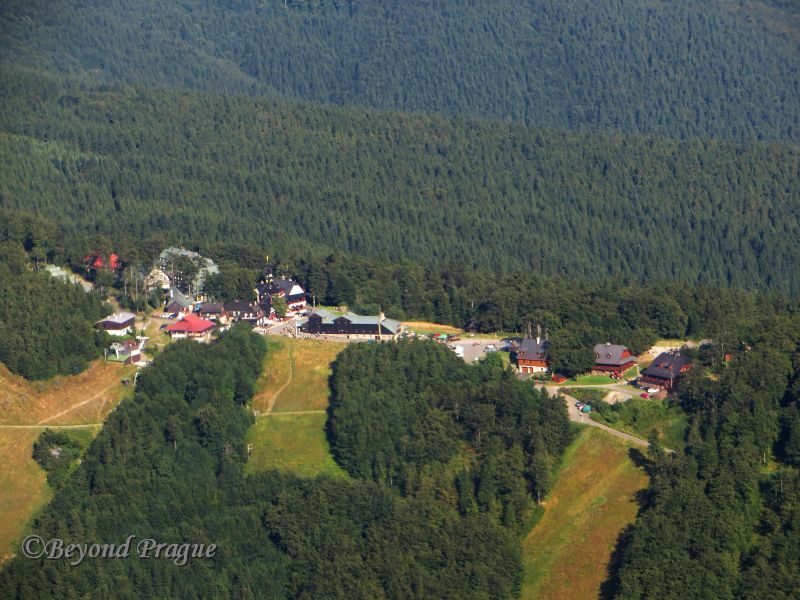 The mountains boast trekking and hiking trails as well as ski slopes and many observation points. A view of the pastoral land which contrasts with the nearby mountains. 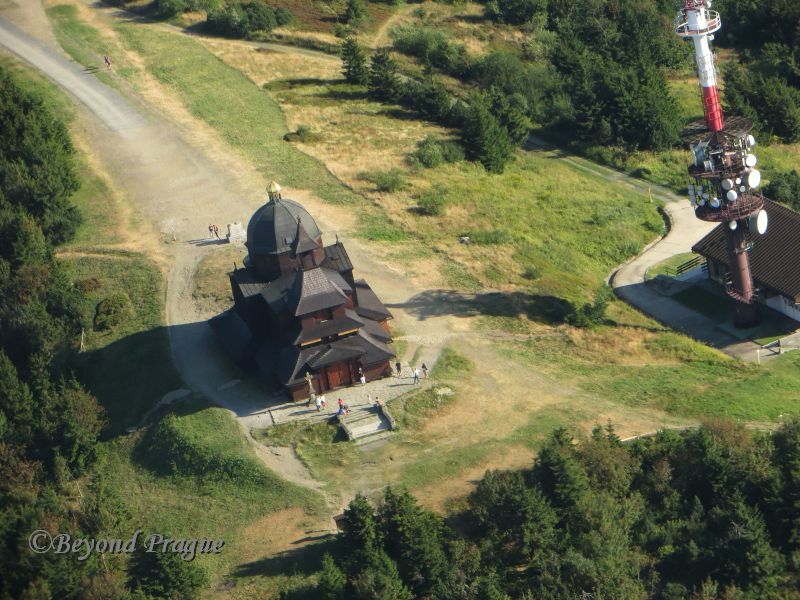 The Chapel of St. Cyril and Methodius on Radhošť mountian. The chapel is an example of typical Wallachian folk architecture. 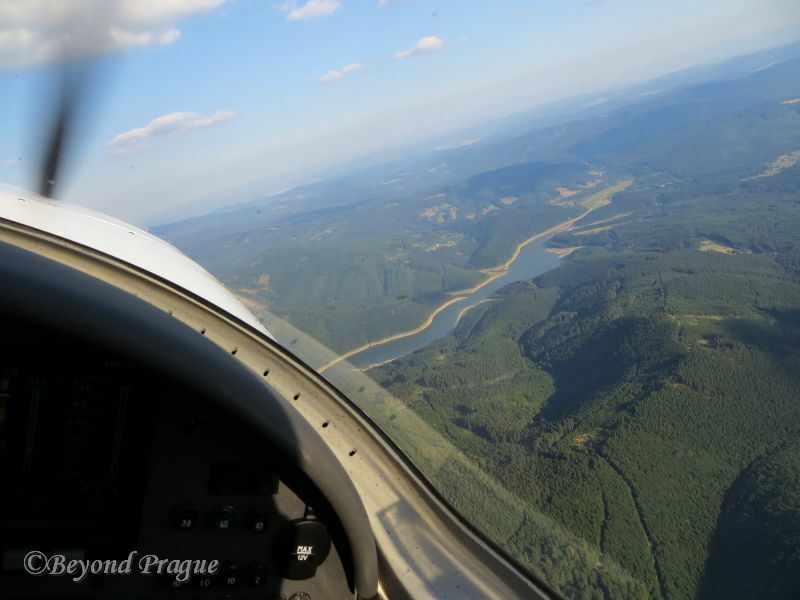 Flying along with the Beskydy below and Slovakia visible in the distance ahead. Just a lovely view of cloud shadows on the mountains. One last picture before heading back to the airstrip.